3 years to the week, Jurgen Klopp was appointed as Liverpool football club manager. The buzz among the fans was palpable. Fans throughout the world had stayed up late at night to hear the confirmation of his appointment, and there was a feeling he was the right man for the job and to bring the glory days back to Anfield. Starting his managerial career at struggling Mainz in Germany, Klopp did a tremendous job which then resulted in Dortmund appointing him as their manager. His time there was a great success. Along with winning multiple Bundesliga titles, he reached the Champions League final with the club. 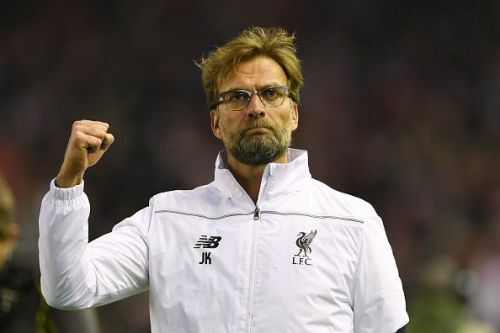 Although his final season was disappointing, Klopp had made a name for himself as a manager. At the beginning of the 2015-16 season, Liverpool were struggling. This resulted in Brendan Rodgers getting the sack. Fenway Sports Group wasted little to no time in appointing Klopp who was without a job at the time. In his first press conference, Jurgen dubbed himself "The Normal One" to everyone's amusement. In his first season itself at the club, Liverpool reached the Europa League and League Cup finals but unfortunately came out on the losing side both the times. But within the club and it's avid supporters, there was a sense Klopp was the right coach to take Liverpool forward which earned him a new six-year contract along with his own coaching staff. Liverpool qualified for the Champions League in 2016-17 and the following season they reached the finals of the Champions League only to be beaten by Real Madrid in heartbreaking fashion. During his time at Liverpool, Klopp has seen many players leave and many players arrive. He hasn't had the funds to spend, say like a club like Manchester City have. He's known for his 'gegenpressing' style of football. During the 2017-18 season, new signing Mohammed Salah was on fire along with Sadio Mane and Roberto Firmino, and formed a fearsome trio and scored a lot of goals. The club has been steadily progressing under the tutorship of Jurgen. Step by step, Klopp is building a dynasty at the club and laying strong foundations. The signings of Alisson and Van Dijk has shored up the leaky defence. The competition for places in the team is very strong and the squad is gelling well. The attacking style of football the club is playing is very attractive and pleasing to the eyes. The 2018-19 season has started very well with Liverpool unbeaten in the league and joint top of the table. All the credit for this goes to Klopp as without him the club would be in a shambles. Klopp, a very passionate man when it comes to football with his chest-thumping celebrations and the player hugs, said at the beginning to the fans to "change from doubters to believers" and everyone has come around to that. Something special is happening at the club and with a few more tweaks, who knows what boundaries the club can cross. The squad of players is very strong and every player is playing with freedom and enjoying their football. The future is genuinely exciting if you are a Liverpool fan, and I, for one, cannot wait to see where this genius, Jurgen Klopp, takes us on this exciting roller-coaster ride we're about to embark upon.